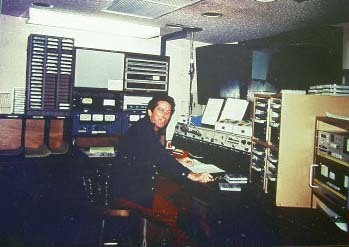 At the Hilton Hawaiian Village Studios. R A Campbell with Dave Shayer (Dave ran record tracks at KUMU in the early 70's). 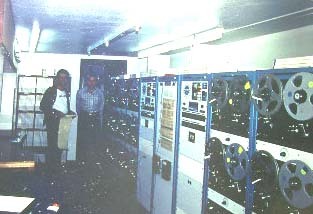 This photo from the early 80's shows the tape sequencers used on AM and FM. 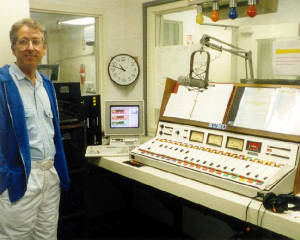 There was an FCC separation rule in effect at this time and AM and FM were not simulcasting but each was running the same format of syndication music from Bonneville or FM100 services.